This programme exposes Line Managers and Managers in staff functions other than the core HR professionals to the Human Resources concepts that affect their individual business performance. With this course, they will know how the human elements help them to take better strategic decisions. They will also be able to strengthen the employee relationship within their responsibility areas as within the organization as whole. 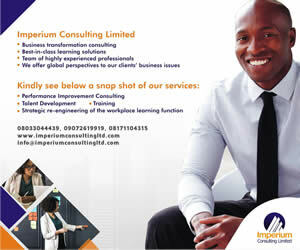 The greatest asset any organisation can have is staff that diplays the best competence at all times. Play their roles in attracting, retaining and deploying the right professionals to achieve group vision. Manage the tricky liaison between subordinates and senior management.